Find the Nice Open 2013 tickets you're looking for at OnlineTicketExpress.com, One of the biggest ticket marketplace in Europe, Select a match from the Nice Open 2013 fixtures to view the range of tickets available. The ATP Nice Open (or Open de Nice Côte d’Azur in French) is an ATP World Tour 250 series and, formerly, Grand Prix tennis circuit affiliated men's tennis tournament. 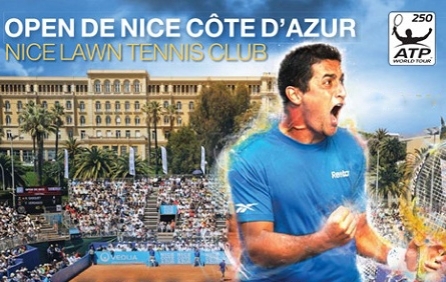 It is held in Nice, France at the Nice Lawn Tennis Club and played on outdoor clay courts.Get your tickets for the 2013 Nice Open Tournament only at OnlineTicketExpress.com . Get Best Value Nice Open Tickets. We’re sorry, Nice Open tickets are currently not available. Sign up for a Nice Open tickets alert and we will let you know as soon as we have tickets available for sale. Please enter your email below for a Nice Open updates! * You will receive Nice Open email alert immediately once the tickets you're looking for become available. * Don’t Miss out the Nice Open event.